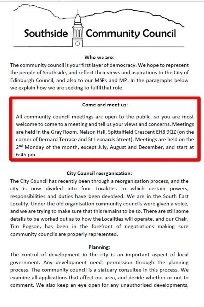 Regular business meetings of the Community Council are held in the Gray Room at the Nelson Hall, Spittalfield Crescent (where Bernard Terrace meets St Leonards St), on the 2nd Monday of the month, except for July, August and December, starting at 6:45 pm. The AGM is held in May, immediately before the regular May meeting. Meetings are open to members of the public who are welcome to raise concerns and participate in discussions. 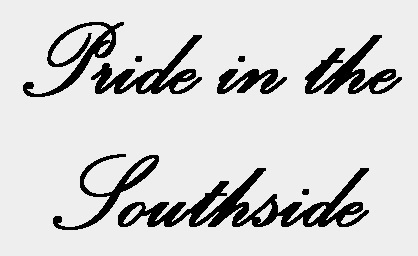 The Southside Community Council is a group of people who care about our community... Read more. This bus shelter has gone. Do you want a new one? Graffiti is a huge problem in our area, but we hear from the Police that they have recently indentified some suspects, so we expect some arrests soon. From time to time, the local Police send us information about crimes in the area and how to avoid them, and stay safe. Here are the latest alerts. See our latest news letter. We have been promised a new pedestrian crossing. Read more. What's on in the area? Our sister organisation, the Southside Association, has a great "What's on?" page. See it here. We are always keeping an eye open for problems that may be caused by new planning applications... Read more. We are hearing reports of increased levels of shoplifting and illegal drug dealing in the area... Read more. 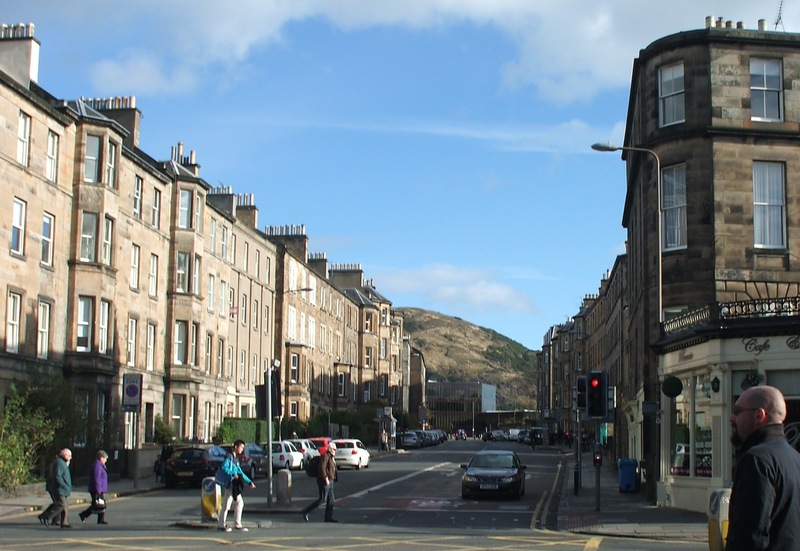 The City of Edinburgh council no longer maintains lighting in privately owned common stairs... Read more. If you would like to receive occasional emails from the Southside Community Council, please enter your email address in the box below, and click "Submit request". If you no longer wish to receive our emails click "Unsubscribe". See our Personal Data Policy. © 2019 Southside Community Council.